The bike stations offers numerous ways to help keep our campus cyclists in the saddle and enjoying the campus and Boulder's great environment. We value the bicycle as an effective means of commuting and recreation, improving its users' health, mobility and economic vitality. 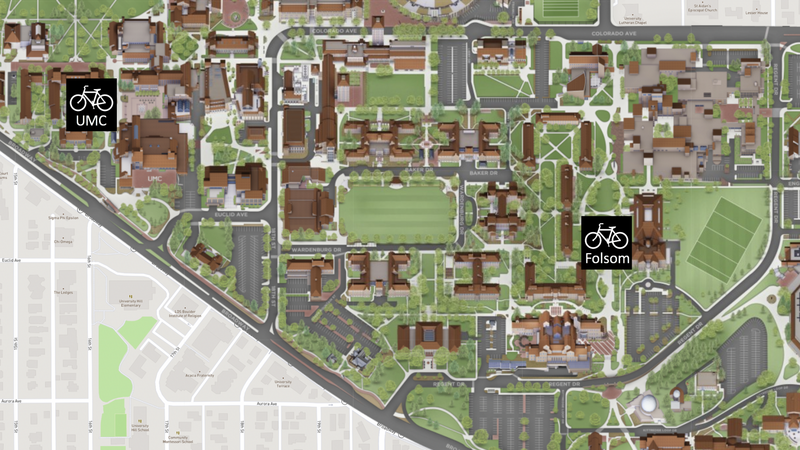 During the warmer Fall and Spring semesters, both the UMC and Folsom bike stations are here to serve you. Both the Folsom and UMC Bike Stations will be open for the winter with adjusted hours: UMC Bike Station Monday-Wednesday-Friday 10am-2pm and Folsom Bike Station Tuesday-Thursday 10am-2pm.